Caveman Catching | The fishing tales (and more) of a modern Neanderthal. ©2017 Caveman Catching ©2010 Caution: Caveman Cooking/UHearMe, Inc. All rights reserved. 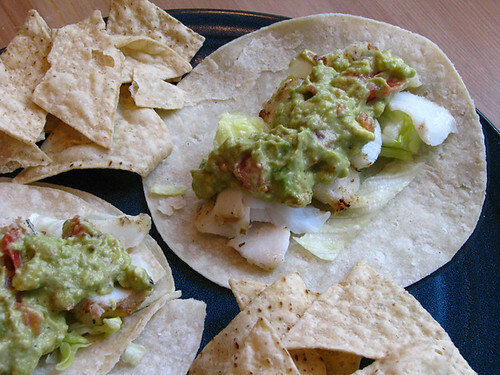 This recipe originally appeared on the Caution: Caveman Cooking blog at http://cavemancooking.net authored by Caveman. This recipe may be shared and reprinted as long as this entire copyright message accompanies it. 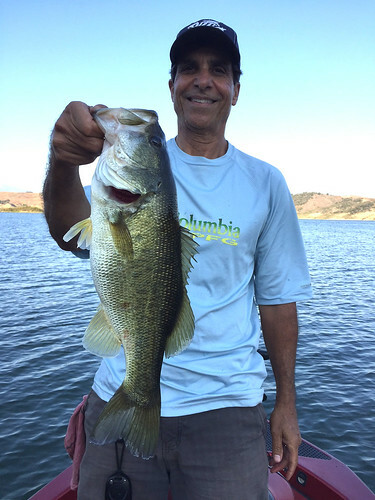 Had an opportunity to fish a rare legal night session on Lake Casitas on Saturday with my good friend and fellow fishing fanatic, Rick “R2” Raives. We were allowed to check-in at 4pm and launched by 4:30, with an off-the-lake deadline of midnight. There was decent chop on the fairly-stained water from the 8-12 mph winds, with mostly clear skies overhead. Rick started out throwing a Don Iovino Little Slugger in Purple Phantom while I was tossing a brand new Yo-Zuri 3DB Knuckle Bait, which is a just introduced hybrid wire bait I am field testing for a review. The action was good on the points. I got a good hit on the YZ-KB with just my second cast, but couldn’t connect. Meanwhile, R2 got the ball rolling with a couple of nice 3 pound-class battlers and lost a 4+ pounder in the weeds. Action in between the points was surprisingly slow. But, then we came across a nice rocky point that flattened out a bit at about 8 feet. I ran the Knuckle Bait across the flat and got hammered by this nice 3.5 pound leaper. We scrambled around to several of our usual spots, but just couldn’t find a consistent bite. Finally, dusk finally began to set in. Which had both of us scrambling for some reaction baits. 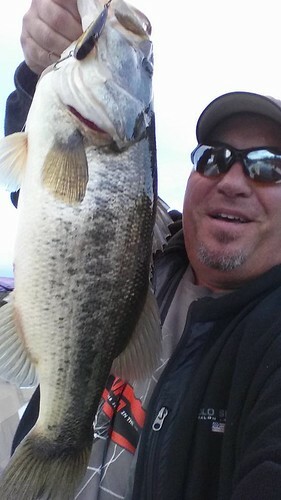 When I couldn’t get any love on the hardbaits, spinners, and chatterbaits I tried, I went back to the old faithful Little Slugger, and was rewarded with a couple of nice tournament sized 2.5 pounders. Rick opted for one of our favorite, and most underrated, small cranks … the BPS Lazer Eye. He was only about half a dozen casts in when he got hit but wouldn’t stick. But, only a few casts later, R2’s rod was doubled over, as he battled this fat 4 pound-class beast into a quick “lip, pic, and git”. When darkness really set in, we were on the other side of the lake from where we wanted to be. So, we no-waked ourselves over while munching on some turkey, roast beef, and swiss sandwiches. 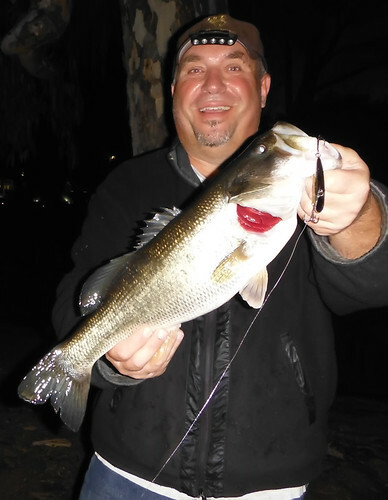 When we arrived, I suggested we try a technique that had worked years ago with fellow bass addict, Mike “MikeyB” Berens, the last time I had fished Casitas at night … a c-rigged 5″ Junebug Senko. As we came across another long extended point, “R2” got absolutely hammered. His rod, once again, doubled over as he hooked into a big fish. After pulling some line, the 5+ pounder did an inverted 360, and was gone. 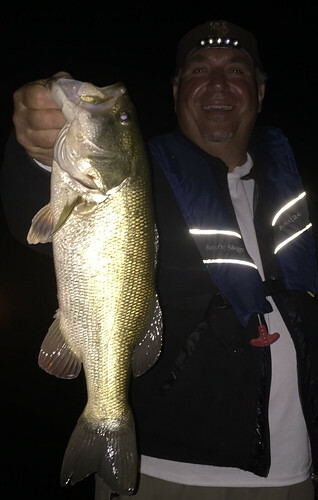 As we came down the rocky side of the point, I picked up one of my favorite nighttime baits … a Norman Little Deep N crankbait in Black and Blue Fleck. On my second cast, I got nailed on the 5th crank and quickly boated a nice 3 pound-class fish. I immediately tossed it back to the same area, and at the exact same point in the retrieve hooked up with this 4+ pound grinder. A third cast also got hit at the exact same spot, but almost immediately came unbuttoned. Rick managed a couple more 3 pound-class fish on the c-rig, while I added one, as well. Before we knew it, it was time to get off of the lake. We ended with 11 fish boated, and a great time had by all. We’ll be hitting the next Casitas night session they offer, for sure! Got out for an hour Thursday and couldn’t buy a bite. Since that didn’t sit well, and I had a 2.5 hour window, I went out again Friday. Scored four using a “finesse vibe” technique with the Yo-Zuri America. Inc. Rattlin’ Vibe, including this 6-3 beast. Can you guess what I’ve been doing the last couple of days? 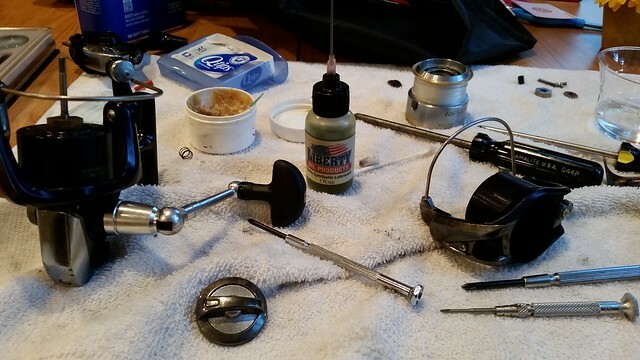 When the Winter bite is slow or, in some regions, non-existent, it’s a great time to clean, lube, and tune-up your gear. Since there are already some great tutorials, both written and video, on the internet regarding how to clean/tune your rods and reels, I won’t repeat the processes here. Though, I must say that Simple Green is great for cleaning your equipment. It’s safe on almost all rod and reel surfaces, and is environmentally safe. As for the lube part of the equation, I have become a big fan of Cal’s Reel Grease and Liberty Reel Oil, in recent years. They are quality lubricants that don’t break down in harsh marine and freshwater environments. Sure, you can send your equipment out to someone who will charge you a not-so-nominal fee to get them ready for the impending fishing season. But, for a few bucks invested in lubricants and cleaners, a couple of basic tools, and several minutes spent learning the proper procedures, anyone can do it themselves. You’ll feel great about being able to care for your own gear. Plus, you’ll save a ton of money that you can now invest in some more gear. I call that a win-win! There’s no doubt that I caught some of my best fish of the year on a Yo-Zuri Rattlin’ Vibe. This 5-11 bruiser was no exception. 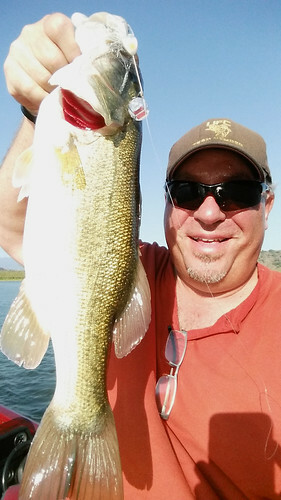 I could barely walk, but I stayed upright enough to land this 6 pound Lake Casitas Bass on a Tailspinner. 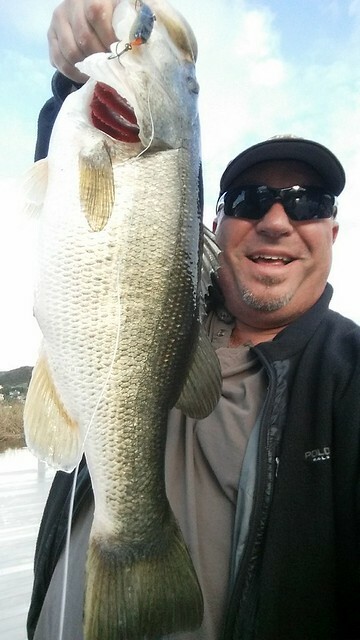 A Yo-Zuri Rattlin’ Vibe got this 6-4 Lake Sherwood hawg to chomp down. It was reassuring to look into the net and see that I was matching the hatch. 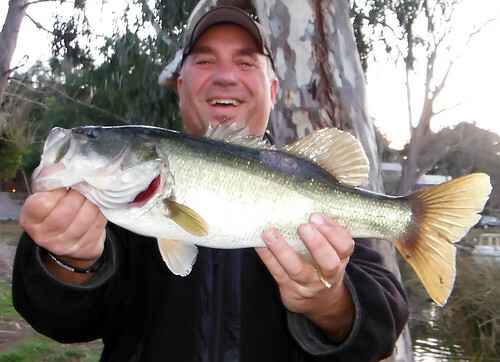 This Lake Casitas six pound, five ounce fatty fell for one of the smallest baits available … a Don Iovino Little Slugger. 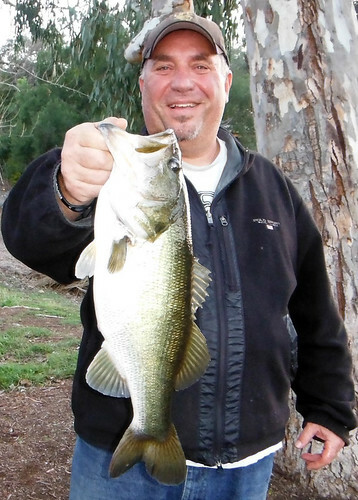 6-9 pound beast that nailed a Yo-Zuri Rattlin’ Vibe back in February on Lake Sherwood. My best of the year. My “Friday the 13th” (FTT) actually started last night when I took a 60 MPH heater to the toe while catching my son in the bullpen. Not sure if it’s broken or not. Though, as you can see, it is quite painful and feels like it is broken. That would have been bad enough, in and of itself. 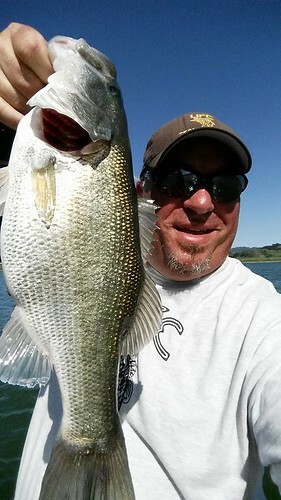 But, I also had another Lake Casitas fishing trip planned for today with fellow UFC fishing fanatic, Rick “R2” Raives. Of course, upon seeing my discolored digit, the Cavewoman offered her usual sage advice when she said, “Do you think you should cancel?”. Yes, the smart thing to do … on the other hand, I am a gamer. The only way anyone is keeping me on the bench is if I can’t walk. While, ambulating is suddenly simultaneously difficult and painful, I figured I would spend the majority of the day sitting in the backseat – allowing me to stay off of my angry appendage and still enjoy some big bass hunting. FTT had other plans, however. When we arrived, just before sunrise, there was this lovely sign waiting to greet us. Apparently, the already precarious lake levels had dropped even further, rendering the makeshift launch ramp unusable. 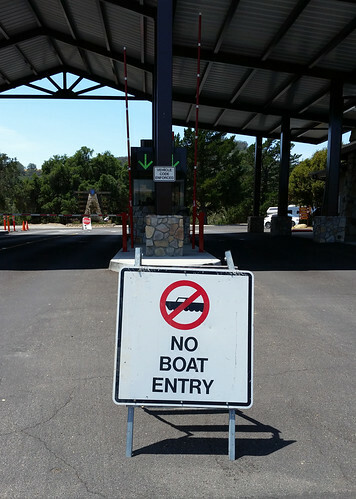 While a new (old) launch ramp revealed itself on the other side of the lake with the precipitous drop in water levels, the lake staff was still in the process of rigging it since the traction racks had just arrived yesterday. In fact, they planned on opening the ramp around 4 this afternoon … too late for our purposes. I was starting to think that FTT was going to squash my hopes for the day. Though, R2 is a gamer, as well. So, we weren’t going to be denied our fishin’ mission. We just looked at each other and exclaimed, “Shore fishing!”. No, not the best idea, considering my limited and pained mobility. On the other hand, Neanderthals have never been known for their smarts. We headed for the marina of the now defunct launch area and went at it. 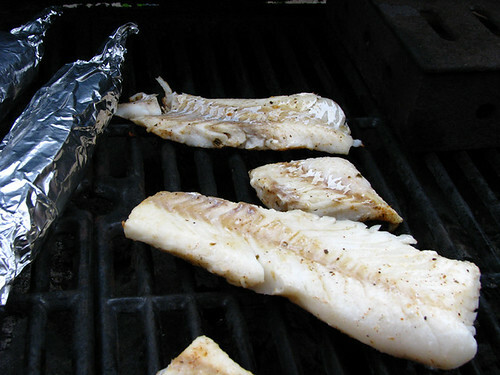 The shad balls were thick and plentiful – sizes ranging from “Good ‘n Plenty” caliber to solid four inchers. The fish were blasting them every ten seconds, leading us to assume topwater would be the ticket. Yet, neither of us could manage any interest. That’s when I decided to tie on a shad colored tail-spinner to attempt to match the hatch. It didn’t take long for my slow-roll retrieve to stop dead in the water and my rod to double over. 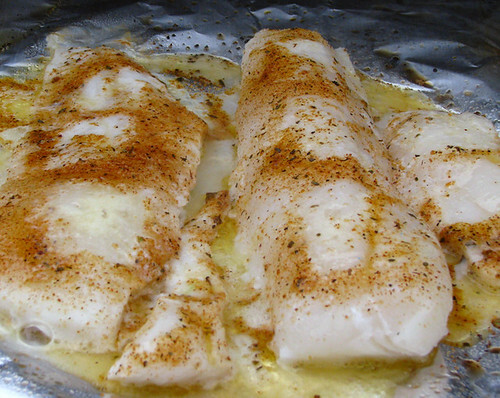 The way the fish fought (a steady, yet hard, pull), I wasn’t sure what I had hooked into. And, when several diving birds surfaced near my line, I was sure I had hooked into some fish-eating fowl. Suddenly, a huge hawg exploded from the water and quickly allayed my fears. After, a tough tug of war I finally lipped, clicked and liberated this 6 pound beast. 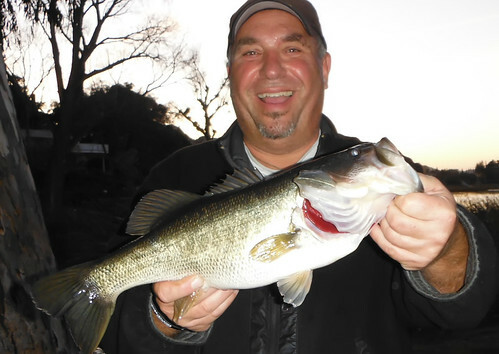 Rick utilized a tail-spinner to nail a nice 4+ pounder, along with a chunky 2.5 pounder. I also managed another four keepers on Don Iovino’s Little Slugger baits, while R2 was able to add another with the shad-imitating plastics. While we would usually stay on the boat until late in the afternoon, 5+ hours straight spent on my hobbled hoof had me ready to call it quits before noon. We ate our lunch with a beautiful view of the lake and then headed home. 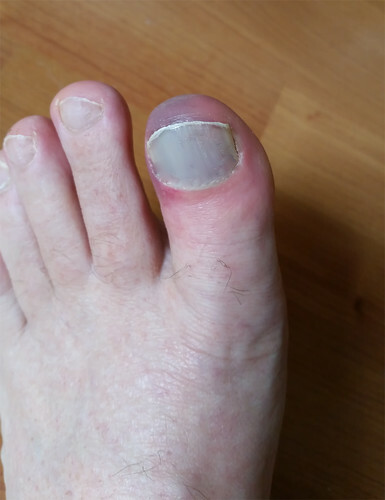 And, though my toe feels like the late Keith Moon is banging out a drum solo on it as I type this, all I have to think about is that first fish of the day for the pain to begin to wane. Who knew a big fish could be a painkiller, and Friday the 13th beater?!?!? I intended to write this up on Saturday. But, the Cavemom came into town unexpectedly. Soooooo … you know … priorities! I had been itching to get out on the water all week long, with the full moon on the way and the water starting to warm up. Because, to me, that means pre-spawn Bass. Definitely one of my favorite times of year to target big, fat bucketmouths who are on the chew as they prepare for the physical grind of the spawn. I hit the lake around 3pm with high hopes as there was a nice light breeze that was putting a decent chop on the water. Though, we also had gin-clear skies, cool air temps, and somewhat stained water. I started out with a great bait for the fish I was expecting to encounter, which also happens to be one of my all-around favorite hardbaits: the Yo-Zuri Rattlin’ Vibe in the Gold, Black, Orange (GBO) pattern. My second cast came to an abrupt stop and my pole doubled over when a nice 4-5 pound class fish nailed it and did an inverted 360 in the air. I was stoked that she wasn’t able to throw the lure on that maneuver. But, bummed just seconds later when she self-released near the dock as I reached for the net. Couldn’t get anymore love on that bait, despite trying a few more patterns. After trying numerous other baits, I finally went to a drop-shot to try and get the threat of skunk from joining me on the ride home. Finally, I got a little 1.5 pounder to cure me of the stripe. I followed that up with a couple of 2 pounders on a small tail-spinner. But, that was about all the action I could entice. Ran into a couple of other anglers who were having similar slim pickins. I was thinking about calling it a day as the sun set behind the surrounding hills, but decided to hit one more spot before throwing in the pre-spawn towel. About 2/3 of the way home on my very first cast, the Rattlin’ Vibe came to a complete stop. Suddenly, a fat football fish came flying out of the water and did an inverted 360 with a half-gaynor. She quickly followed with three more of the same move before dogging me hard back and forth across the bank. I finally slid the the round-bellied beast into the net, took this quick pic, and weighed her in at 5-11, before gently sliding her back into the lake. As usual, I quickly made another cast to the same area. Sure enough, in the same exact spot I tied into another big fish. This one wasn’t inclined to jump as much, as she cleared the surface only once. Though it was clear they trained together, as she made the same inverted 360/half-gaynor combo. When the dust finally settled from our protracted battle, she was in the net, in the pic, and on the digi scale. Her tally was a nice five pound and one ounce. Sensing that I might have found a school of big fish, I quickly retied and sent my bait hurtling to the same vicinity. Once again, about 15-20 yards from shore, a big bruiser completely inhaled my offering. This one was “only” a 4 pounder. So, I gave her a quick release without putting her in front of the camera or on the scale. Again, I fired back to the same spot and again got hammered in the exact same spot, which I had determined was a small hump that was holding this school of big pre-spawn fish. Unfortunately, this time, the fish didn’t stick. I decided to give that spot a rest for a second, and sent my bait flying toward some tullies on the other side of the bay I was fishing. I only got three or four cranks of the reel in when my rod went completely bendo and line started peeling off. I knew this was an even bigger fish and implored the fish to “stay down” the entire fight. I got her to shore and immediately found that she had swallowed the bait and was going to need some delicate surgery. Once I freed her of the hooks, I put her on the scale and, as the weight was settling in somewhere in the mid six pound range, I noticed she was bleeding out the other side. So, I quickly revived and released her without an exact tonnage or picture. After another retie and a couple more fruitless casts to that side, I went back to the original spot. As the rattler made it’s way to the hump, it once again was mauled by another hefty heffer. She never cleared the water, but she pulled so hard that we were in an utter stalemate for what seemed like an eternity despite the 12 pound Yo-Zuri Hybrid line. 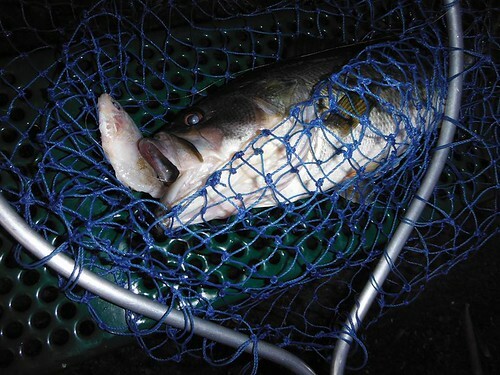 I couldn’t believe my eyes as she literally jumped into the net … another monster mommy-to-be. Five pounds, five ounces, to be exact. When my next two casts got hit but not inhaled. I decided to try some other baits. But, none of them could entice even a bump. So, after 15 minutes of trying, I went back to “what had brung me to the dance” earlier. It was a wise decision, as the very first cast with the Rattlin’ Vibe was viciously attacked at the hump. Again, line started peeling from the reel as the mammoth Largemouth zig-zagged the bay in search of something to snap me off on. When she finally gave up, I got this 6-4 pounder into the net and realized that I had just landed a “twofer”. Actually, she had just spit up a partially digested hand-sized Bluegill. Which also made me realize why the fish weren’t interested in the other baits I had just thrown. This was clearly “match the hatch” conditions. I kept firing my bait in the direction of the hump, and continued to get hammered by large sized fish. 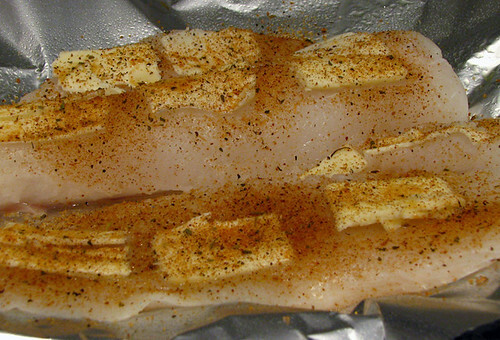 Though, the next four fish had clearly downsized a bit to the 3 to 4 pound range. The school was still fired up, but the really big fish were clearly exercising caution. I began fishing the rest of the bay, hoping to find some other fish, but mainly to give the hot spot a little rest. After a 10 minute hiatus, I went back to the well one more time. Sure enough, lying in wait as my bait hit the hump was this 5-4 fatty. She gave me a couple of those patented inverted 360 jumps before she allowed herself to be lipped, picked, and weighed. That was it. I made several more casts to the hump and around the bay. But, the bite had definitely turned off. Which was fine by me, considering the last hour and 15 minutes had been wide freaking open on some big mommas on the chew before the spawn. I ended the day with 14 fish, and a top five with a weight over 27 pounds. 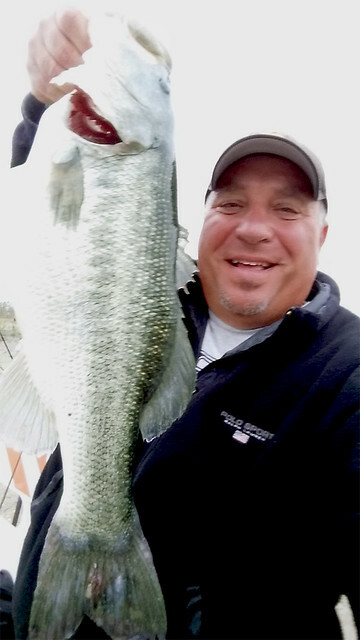 Now you know why this is one of my favorite stages of the year for catching big bass. Though, that window is usually very short. So, be sure to get out there when it opens in your area of operation.